The best upgrade to any laptop is a SSD, or solid state drive. These are replacements for a standard moving parts hard drive. Having an SSD for a laptop makes sense as number one – it lowers the time it takes to read files. Your system may boot up and be ready in under 30 seconds. Number two – it lowers the power drain on the laptop, so if you were to use it in battery mode, the battery would last much longer. Number 3 – by having no moving parts if your laptop were to, heaven forbid, fall on the floor, the internal SSD would most likely experience no issues. This would be a stark contrast to for instance if it had a standard hard drive, which is very susceptible to data loss from physical drops. So, knowing all this, if you are in the market for a new laptop and it’s in your budget to purchase one with a SSD already installed, it would be a great upgrade. All that being said about SSD drives, they are generally smaller in capacity to offset the cost when compared to a standard hard drive. 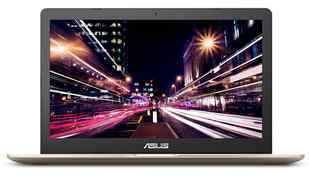 For instance, many of the laptops below include a 256 GB SSD for about the same price or a little more than the cost of a system with a 1 or 2 TB standard hard drive. In my experience the added space is hardly ever used by my clients. The average used space for hard drives is generally 50 GB or less. However, if you ever did require extra space, external hard drives can be purchased for extremely low cost. Intel processors are generally sold in three options, an i3, i5 and i7. The i3 is the slowest and cheapest option, and the i7 the fastest and most expensive. The processor I generally recommend for a minimum speed would be an Intel i5 processor. The sales people will try to encourage you to save a few bucks just to get the sale by recommending an i3 process, but believe me, you will wish you upgraded when you had the chance with that purchase. The system memory I recommend for Windows 10 is 8 GB. Any less and you would experience slow downs and generally more memory is for extreme multitaskers. 8 GB seems to be the sweet spot for usability and price. If you use your system at night, a backlit keyboard is also a great feature. Even though I personally do not use a laptop as my main system I have purchased a few keyboards, and can tell you that for the two main systems I use, they are both backlit. These keyboards help immensely in low light environments when you do not want to light up the entire room. 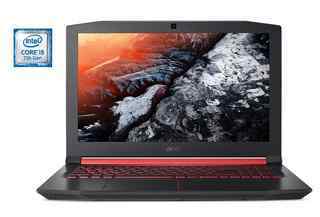 As for reliability, that is usually hit or miss for laptops, but generally I have found most HP systems to be of lower quality. There are a few HP laptops that are the exception, however, such as one that I recommend in this list. 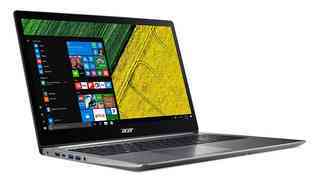 Acer is a lower price system that offers features that you generally would not find in other brands unless you spent considerably more money. Dell and Lenovo are mostly purchased by larger companies for their business class reliability, but they do manufacture gaming and consumer level options that have some great features, add this to the reliability track record they have and you have a pretty nice laptop. Now for the list!